When it comes to working with hydraulic hose assemblies, safety should be your number one concern. Every part of your hydraulic hose system should be regularly and effectively maintained to ensure safety for everyone involved. Custom hydraulic hoses can sometimes be difficult to find, so it pays to seek out a local service that can create hoses while you wait for all of your hydraulic assembly maintenance needs. When a hose fails, safety is a huge concern. There are so many risks associated with failed Fall River hydraulic hoses. You can prevent many emergencies and expensive repairs from occurring by staying on top of preventive maintenance services for hydraulic hose assemblies. One way to catch small issues before they become big problems is to routinely check your hydraulic hoses on a monthly basis or more frequently, depending on use. It is important to create and follow a strict routine. It may be difficult to remember in the beginning, but it will pay off in the long run. 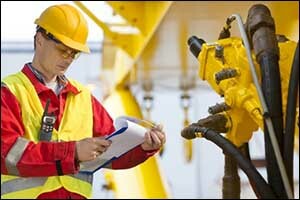 Frequent checks of hydraulic hose assemblies will prevent expensive and lengthy downtime. The better you take care of your custom hydraulic hoses and equipment, the longer it will last and the more efficient it will perform. Even if you only see a small leak of fluid, you need to understand that this is a signal that something is wrong. Anytime hydraulic oil leaks externally, it is a sign of a bigger problem. While small leaks can be cleaned up easily, large leaks can be very expensive. On top of the cleaning costs, fines can come from the Environmental Protection Agency (EPA) and OSHA as well. Safety concerns should be a priority. Even if an employee is not directly injured by leaking hydraulic fluids, slip-and-fall accidents could occur if the entire leak is not cleaned up properly. There is also a major fire fisk whenever pressurized hydraulic fluid is present, especially if it comes from valve seals or hose ruptures that were caused by vibrations or loose connections. Machines that operate in an environment where ignition sources are present pose an even greater safety risk. The moment that you notice damage to any part of your hydraulic hose assemblies replace them right away. If you require custom hydraulic hoses, make sure to visit Metro Industrial & Marine Supply to take advantage of our “hoses while you wait” service. As you inspect your Fall River hydraulic hoses and equipment, learn how to look in common trouble areas for potential hazards. These areas include hoses that have tight bends or twists, hoses that have abrasions from making contact with other equipment on the cover and check closely for hairline cracks and other types of damage. If you notice any fabric or wire exposed in the hoses, additional contact with water and debris can increase the break down of the material. If you notice any seepage at all in the area of the hose or coupling, replace your hoses right away. Take care to ensure that the temperature of your hydraulic fluid is within the temperature range that is specified on the hose. Temperature ratings are there for a reason, and they can be drastically different for each hose. Check the temperature rating by looking at the hose itself or by talking with Metro Industrial & Marine Supply to get the rating for your custom hydraulic hoses. If the temperature is too high, small cracks will begin to form on the inner tube, causing the hose to lose its flexibility. Pressure ratings are just important. Make sure that the pressure ratings of your hydraulic hose assemblies are not exceeded for best results. While most hoses are tested to a higher pressure, for safety’s sake, make sure to take care when choosing hoses based on the pressure rating. If your custom hydraulic hoses fail for any reason, take time to inspect it and have it tested to find out why it failed. This can help you to prevent failure in the future by removing the conditions that caused the failure to occur. When the root cause is addressed, it can save you and your business a lot of time and money. If increases need to be made in heat or pressure tolerances, our team can help you with the design and manufacture of custom hydraulic hoses. If you are interested in learning more about custom hydraulic hoses and hydraulic hose assemblies, give us a call at 508-996-8400. Our team can help you find the right Fall River hydraulic hoses based on your needs and specifications. Take advantage of our hoses while you wait services at our location in New Bedford, Massachusetts.